Are there any parrot actions/shops in birmingham? Also is there any private breeders? Looking for cheap bababy congo parrot. 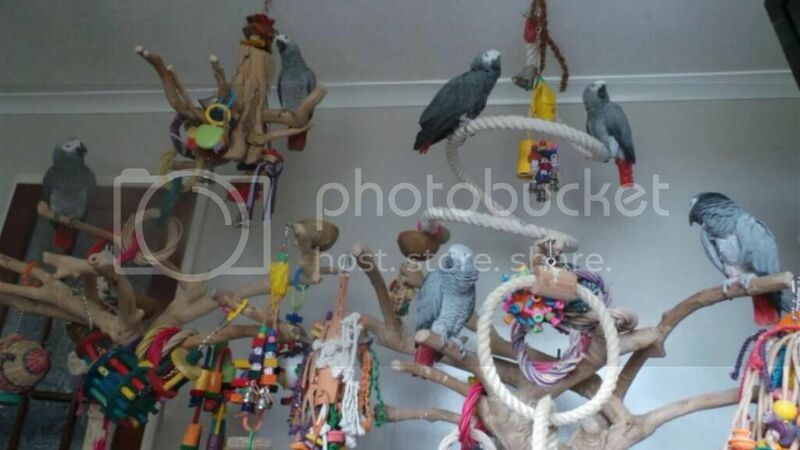 Love african greys but cant afford the high price. Wish price wasnt an issue but it is. Unfortunately cheap price and African Greys don't go together, how much are you looking to pay? You'll not really get a grey for less than £600 - £700 a the cheapest. Have you looked into rehoming? They are cheap abroad probably because they are often stolen from the nest. Its not good. I know you've been asking about this for a while, but it's not going to change anytime soon, especially now they are protected under CITES, which should stop illegal trade of greys. Could you maybe save up? What are you actually looking to pay? Well if there is a kind heard person out there who is willing to give me a baby grey cheap pls get in touch. There always kind people around. All legal I dont want to do any dodgy deals with all paperwork on the cities register or whatever the new law to protect the parrots. Are there any parrot sanctuaries or farm in west midlands area Birmingham Coventry Derby Walsall wolverhampton etc i could go visit. Just want to take kids out for a day.